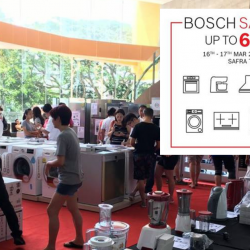 16 - 17 Mar 2019 Bosch: SAFRA Sale with Up to 60% OFF Home Appliances This Weekend! Mark your calendars this weekend and join us at SAFRA Toa Payoh from 11am to 9pm! See you there! Still not ready for CNY? 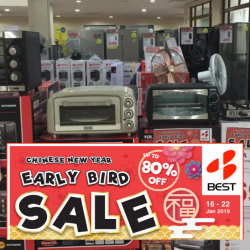 Don't miss Best Denki's CNY Early Bird SALE at SAFRA Yishun Atrium! Washing machines from $359, Fridge from $388! Home appliances, Kitchen appliances & more on SALE! Additional 10% off on Sona products & enjoy additional BEST voucher for selected fridge & washer! Enjoy more with your SAFRA card! 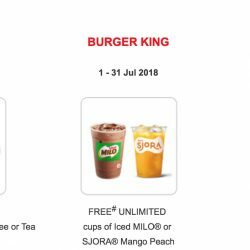 Till 31 Aug 2018 SAFRA: FREE Treats at Ya Kun, Burger King & Swensen’s for Members! 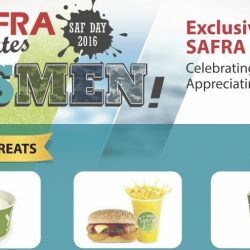 In celebration of SAF Day, Safra is showing their appreciation for NSmen by having FREE Treats, 1-FOR-1 Deals and other great privileges for you and your family! Flash your SAFRA card to enjoy the FREE treat(s) or deal(s) at selected participating outlets! SAFRA member is required to fill up a form with your Full Name, partial NRIC no. and signature to redeem the treat. 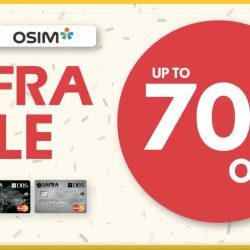 Enjoy up to 70% off Tefal and OSIM SG products! Only at SAFRA Punggol from 23 - 25 March, 10am - 9pm! While stocks last, so don't miss out! 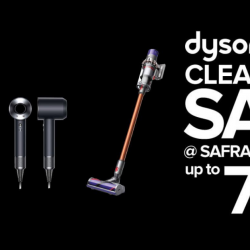 Come by Bosch Festive SAFRA Sale this weekend for a day of Christmas Shopping & enjoy up to 80% off BOSCH home appliances. First 20 customers who purchase Bosch appliances will also get an additional Bosch Tingkat worth $49.90. Hurry, these deals don't wait. See you here! Royal Philips is a leading health technology company focused on improving people's health - from healthy living and prevention, to diagnosis, treatment and home care. Philips leverages advanced technology and deep clinical and consumer insights to deliver integrated solutions. Headquartered in the Netherlands, the company is a leader in diagnostic imaging, image-guided therapy, patient monitoring and health informatics, as well as in consumer health and home care. 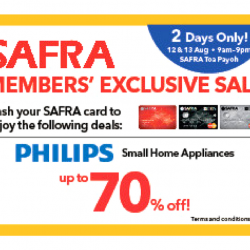 Safra members enjoy up to 70% off Philips small home appliances at SAFRA Toa Payoh this weekend, 12 to 13 Aug 2017! Calling all SAFRA members, let’s celebrate the 140th anniversary of the People’s Bank! 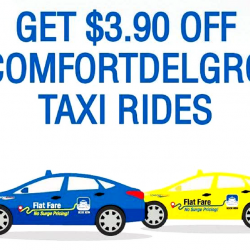 From now till 31 Aug 2017, enjoy $3.90 off your Comfort and CityCab Taxi Rides with promo code! Limited to the first 5,000 redemptions. In celebration of NS50, Safra is giving out FREE Treats, 1-FOR-1 Deals and other great privileges for Safra members in appreciation of your efforts and dedication to the nation. 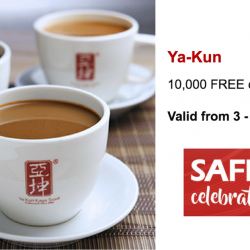 Flash your SAFRA card to enjoy a FREE cup of Coffee/Tea at selected participating Ya Kun outlets! Valid for first 10,000 redemptions or till 27 August 2017. 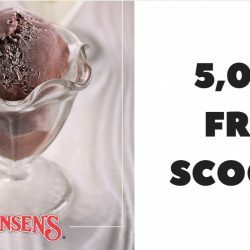 17 - 23 Jul 2017 Swensen’s: 5,000 FREE scoops of ice cream for Safra Members! In celebration of NS50, Safra will be providing FREE Treats, 1-FOR-1 Deals and other great privileges for you and your family in appreciation of your efforts and dedication to the nation! This week, enjoy 5,000 FREE scoops of ice cream at selected Swensen's outlets exclusively for Safra Members! First-come, first served basis, while stocks last. Hooray! It’s back! The Royal Sporting House Mega Sports Warehouse Sale! 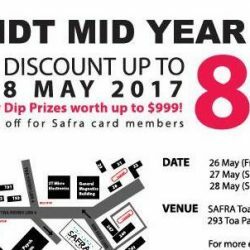 SAFRA members are entitled to an exclusive preview happening on 28 June 2017, 12pm – 6pm. To sweeten the deal, members will also get to enjoy an ADDITIONAL 5% OFF* total bill. Valid on preview day only! *Valid with min. spend of $80 in a single receipt. The sale will be open to public thereafter from 29 June to 2 July with up to 80% off sports apparel and merchandise from brands like Reebok, Adidas, Asics, Keds, Wilson and more! Mark your calendar now and save the date to grab your favourite sports brands! Mark your calendar for 26 - 28 May 2017 for some of best deals you'll find all year on Brandt products, right at SAFRA Toa Payoh! Sales go up to 80% off on home appliances like microwave ovens, washing machines, kettles and more! 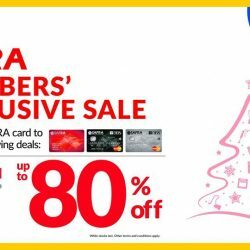 Safra card members enjoy additional 5% off. See you there! 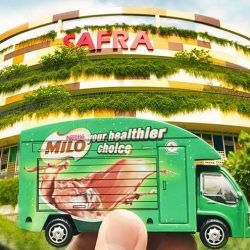 23 Apr 2017, 12pm to 3pm MILO Singapore: MILO Van will be at SAFRA Punggol this Sunday! Friends in Punggol, the MILO Van is coming to your hood! They will be at SAFRA Punggol on 23 April 2017 (Sunday), from 12nn to 3pm. Grab your family and friends and head there for your free MILO! 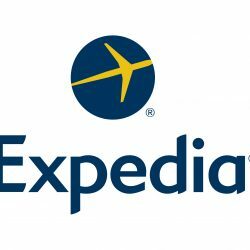 Save additional 10% on your hotel bookings at Expedia with this coupon code exclusively for Safra members! 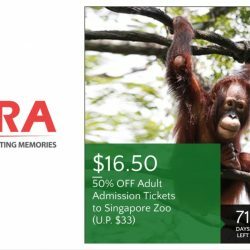 Till 31 Mar 2017 Safra: Enjoy 50% off Adult admission tickets to Singapore Zoo! Exclusively for Safra members, enjoy 50% off Adult admission tickets to Singapore Zoo from now till 31 March 2017! Purchase one Adult admission ticket at $16.50 (U.P. $33). Bring your family now! Hooray! It’s back! 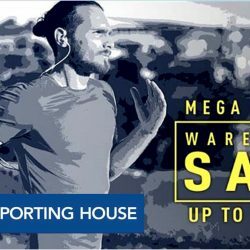 The Royal Sporting House Mega Sports Warehouse Sale! SAFRA members are entitled to an exclusive preview happening on 7 December 2016, 12pm – 6pm. To sweeten the deal, members will also get to enjoy an ADDITIONAL 5% OFF* total bill. Valid on preview day only! *Valid with min. spend of $50 in a single receipt. The sale will be open to public thereafter from 8 to 11 December with up to 80% off sports apparel and merchandise from brands like Reebok, Adidas, Asics, Keds, Wilson and more! 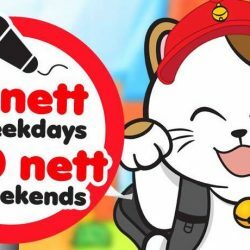 Till 30 Nov 2016 Karaoke Manekineko: Student Promotion – 2 Hours of Singing Session for $8 Nett! Attention all students! You're in for a treat! Simply flash your student card at Karaoke Manekineko from 11am to 7pm and enjoy 2 hour singing session + free flow of soft drinks and tidbits for only $8 nett on weekdays and $10 nett on weekends! Valid till 30th November 2016 at Manekineko Safra Toa Payoh! 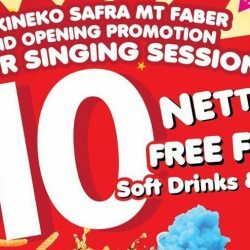 Till 30 Nov 2016 Karaoke Manekineko: Grand Opening Promotion at Safra Mount Faber – 2 Hour Singing Session for $10 Nett! Karaoke Manekineko is opening a new branch at Safra Mount Faber on 4th November 2016! Enjoy their opening special of $10 nett (2 hour) singing from now till 30 November! Oh yes, it includes FREE FLOW of drinks and tidbits! Valid from Sunday, 7pm to Friday, 7pm. Share this post with your family and friends~! 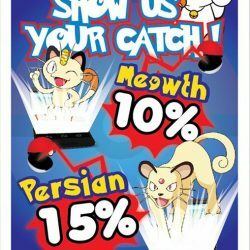 Show us your Pokemon Catch! Available at Manekineko Safra Jurong outlet. Mummy & Daddy! 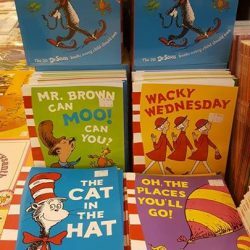 Bookfair at JURONG SAFRA (BOON LAY MRT) 1st lvl atrium from now till 12th Sept 2016, 10am to 10pm daily! Direct import from UK for aged 0-14! The Mega Sports Warehouse Sale of the year is finally here! SAFRA members are entitled to an exclusive preview happening on 7 September 2016, 12pm – 6pm. To sweeten the deal, members will also get to enjoy an ADDITIONAL 5% OFF* total bill. Valid on preview day only! The sale will be open to public thereafter with up to 80% off sports apparel and merchandise from brands like Reebok, Adidas, Asics, Keds, Wilson and more from 8 to 11 September 2016. This weekend from 20 & 21 August, head down to SAFRA Toa Payoh Atrium for two days of great shopping at Bosch Safra Sale! Enjoy up to 50% discount on Bosch home appliances. 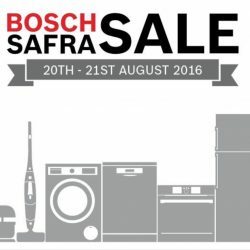 First 10 SAFRA members are entitled to free gifts worth up to $499 with the purchase of selected Bosch appliances! 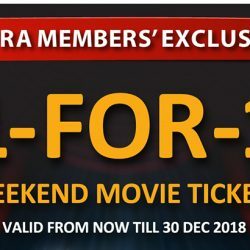 Exclusively for SAFRA members, enjoy free treats, 1-for-1 deals from Shaw Theatres, Wildlife Reserves Singapore and more! Starting from 1 July 2016! The Mega Sports Warehouse Sale of the year is finally here! SAFRA members are entitled to an exclusive preview happening on Wed, 25 May, 12pm – 6pm. To sweeten the deal, members will also get to enjoy an ADDITIONAL 5% OFF* total bill. Valid on preview day only! The sale will be open to public from 26 May 2016 to 29 May 2016 with up to 80% off sports apparel and merchandise from brands like Reebok, Adidas, Asics, Keds, Wilson and more!